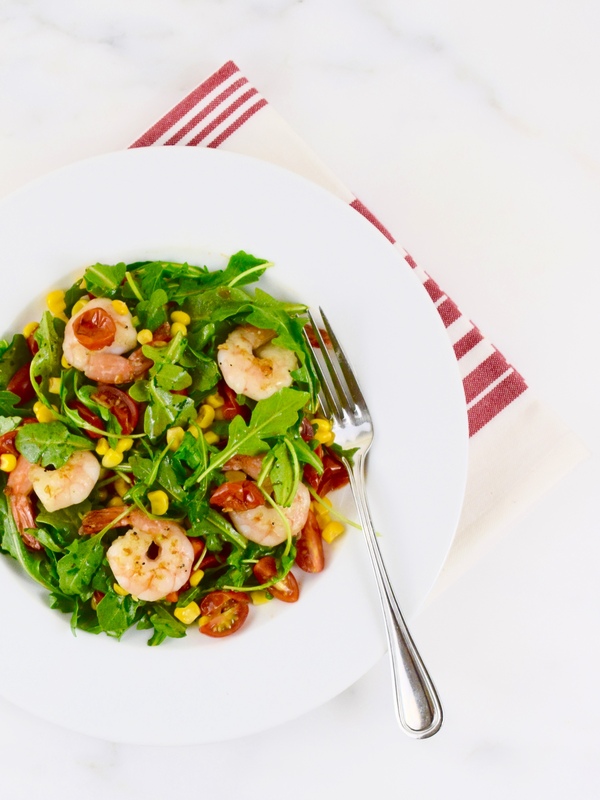 This shrimp salad is easy to prepare and deliciously healthy to eat! My family prefers the shrimp sautéed with garlic and seasoned with salt and pepper; but you can buy already cooked shrimp. The tomatoes are roasted with garlic, which intensifies the flavor. 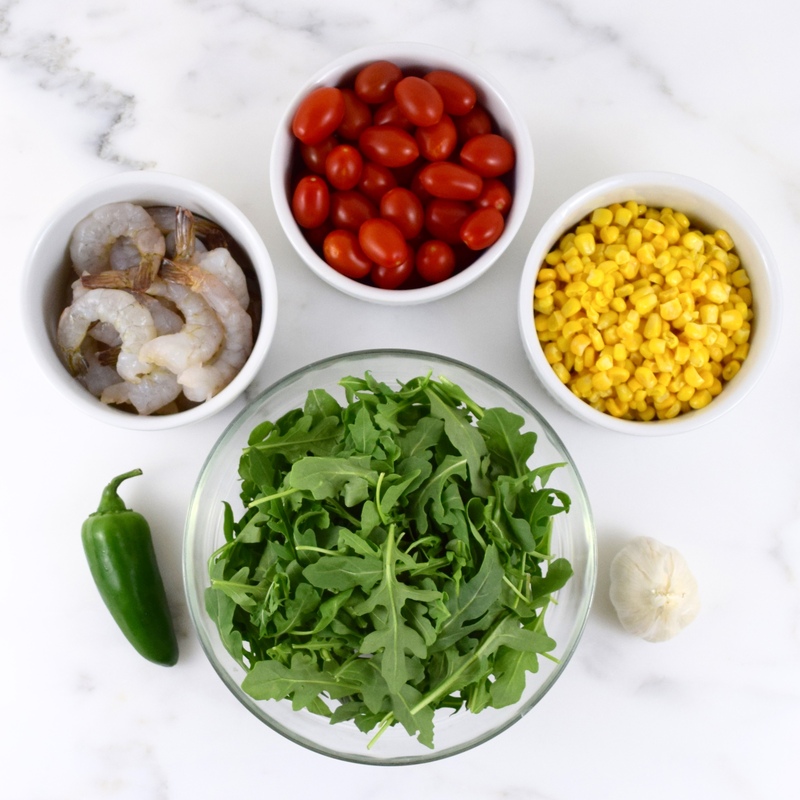 Finally, the arugula and corn along with the shrimp and roasted tomatoes are combined with a red wine vinaigrette flavored with a spicy jalapeño pepper. This wonderful recipe was adapted from America’s Test Kitchen, Cooking Fresh, 2015. It was modified to suit my family’s palate and cooking style. A perfect salad for those who are watching their calories, but don’t want to compromise on taste! In a large bowl, toss 2 cups tomatoes with 1 tablespoon olive oil. Add minced garlic. Season with salt and pepper. Place tomatoes flesh side up on rimmed baking sheet lined with parchment paper. Place sheet on the middle rack and roast for 20 minutes, until skin begins to brown. 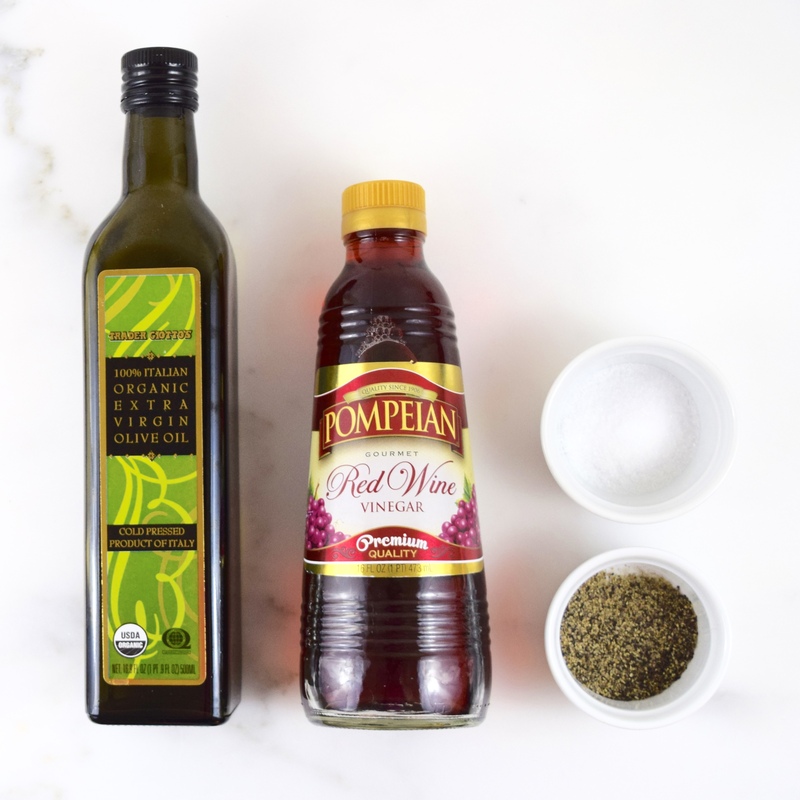 Using a small bowl, whisk together red vinegar, jalapeño and olive oil. Add salt and pepper to taste. Cut remaining tomatoes in half to make quarters. 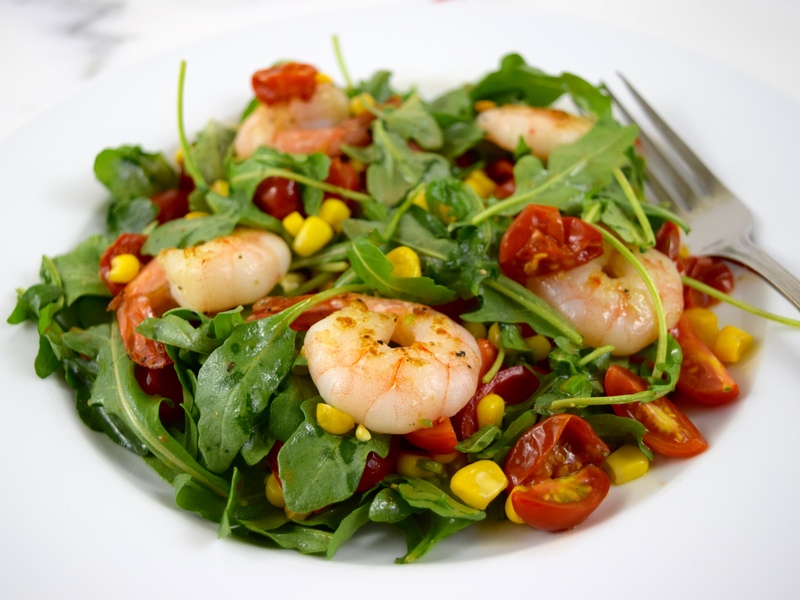 Using the same large bowl, toss arugula, corn and quartered tomatoes with dressing. Add roasted tomatoes and shrimp, combine thoroughly. Serves 4. You are so sweet Roxanne for nominating me! Thank you so very,very much! I’m sorry that I didn’t reply to you quickly. We’ve been in Colorado visiting family and friends. I hope that you are enjoying your summer. I will be doing my special blog in the next few days. Many thanks again!